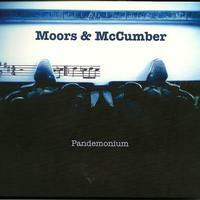 Moors & McCumber is a duo, and they land in the territory of mellow music. There’s a range of sounds within that zone, though. We get everything from folk to country to bluegrass, soft rock and a lot more. This is a strong disc from start to finish. Folk and country collide on this catchy number. A faster paced cut, this has a lot more country and bluegrass built into it. It’s bouncy and fun. This lands more in the vein of soft rock. As such, it still has both country and folk elements at play. Even more in the mellow rock vein, this one really is away from the folk and country almost completely. It’s a great tune that lands near alternative rock with some singer songwriter and classic rock sound in the mix. It’s kind of a jam band thing, really. There’s a little tinge of psychedelia at one point later, too. The classical strings and intricate elements of music here really make this number. It does a great job of combining pop rock and folk music into an endearing song. More of a rocker, this reminds me of something that might have come out in the 1960s. It’s bouncy, energetic and fun. Another intricate, mellower number, this is very much set in folk music styles. It has some country in the mix, too. A bouncy number, this is an energized folk song. I like it a lot. It’s catchy and fun. I love this song. It’s full folk music, but bouncy folk. In some ways this isn’t that far removed from some of the folky stuff the Grateful Dead. A folk rocker, this has a good vibe to it. I like the harmonica, too. This folk ballad works quite well. It’s actually one of my favorites here. The title track is slow moving folk meets dreamy pop kind of song.